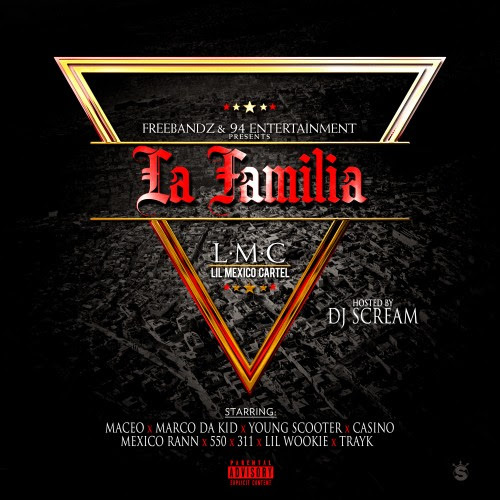 A compilation mixtape not to be ignored, "La Familia"features a stellar lineup including Maceo, Young Scooter, Future, Marco, Casino, Mexico Rann and other Lil Mexico Cartel (L.M.C.) affiliates. Visit Hoodrich Radio for the latest interviews by DJ Scream as well as the #1 requested radio show in the streets airing on iHeart Radio. Every week, DJ Scream delivers the hottest mix show on air, Hoodrich Radio! The show airs Monday – Fridayfrom 7pm to 11pm EST on 96.7 The Beat ATL. Hooodrich Radio is uncut and uncensored on Saturday nights from 10pm to 12am EST on Sirius XM Hip Hop Nation. The show is jam-packed with hits, exclusives, and Superstar Check-Ins from key figures in music and entertainment. Notable guests of the show include Future, 2 Chainz, Young Jeezy, Rick Ross, T.I., Gucci Mane, and more! From the show’s start in 2006, Hoodrich Radio has been home for indie artists, breaking records from artists like Future, Waka Flocka, Young Thug, and 21 Savage before any other show in the country!